Security Deposit is £100 per (part) week. Refundable within 10 days of departure if no damage has occurred and keys are returned. 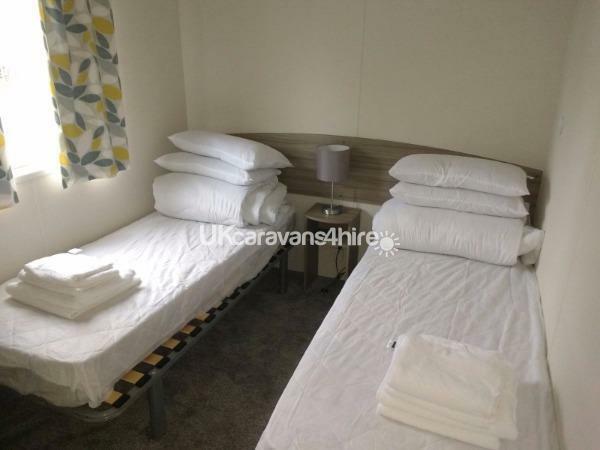 Towel, bedding and linen hire is £100 per week. Please advise at the time of booking whether towel and linen hire is required. In the event of a cancellation, a sliding scale of charges applies as laid out below. Dates and prices shown are from Saturday to Saturday. We are often able to accommodate other start and end dates so do feel free to ask. Let us know whether towel, bedding and linen hire is required. 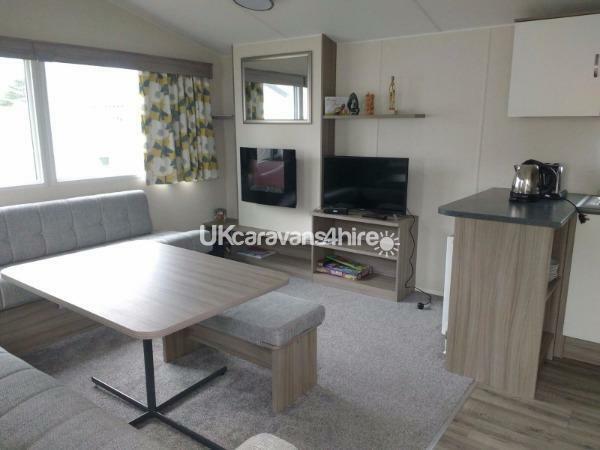 Our 2017 home, equivalent to the Prestige range, is fully equipped with a TV, DVD player and an electric fire to create a comfortable lounge area. 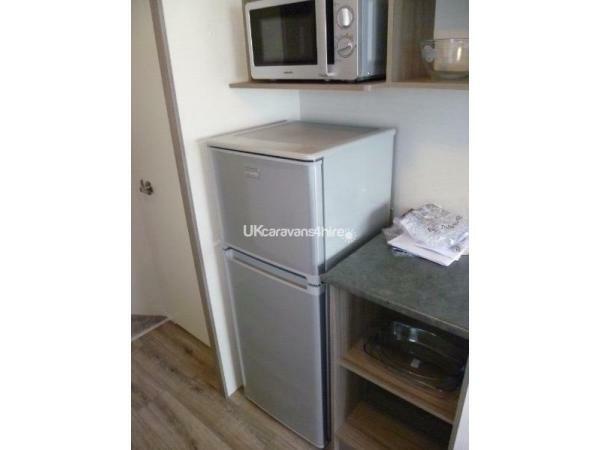 The kitchen includes a microwave, 3/4 size fridge/freezer, microwave and toaster. Towels and hotel quality bedding and linen can be provided for your stay at a surcharge. You are also welcome to bring your own bedding. 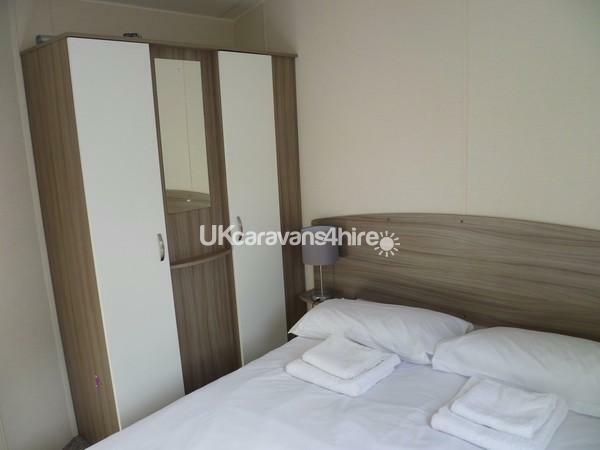 One double bedroom with large wardrobe. Twin beds can combine to make double. Integrated oven and grill with 4 ring hob and electronic ignition. Crockery, glassware and utensils provided. We have just returned from a weeks holiday with our 3 small children. Caravan was perfect for them lots of space, very clean, they were thrilled with the games in the caravan. Plenty to do on Rockley Park, it’s our 3rd visit there. Debra was wonderful when booking, flexible, excellent communication & thorough. Would highly recommend hiring this caravan. Thank you for the review. We're really glad you enjoyed your stay and hope to see you again. 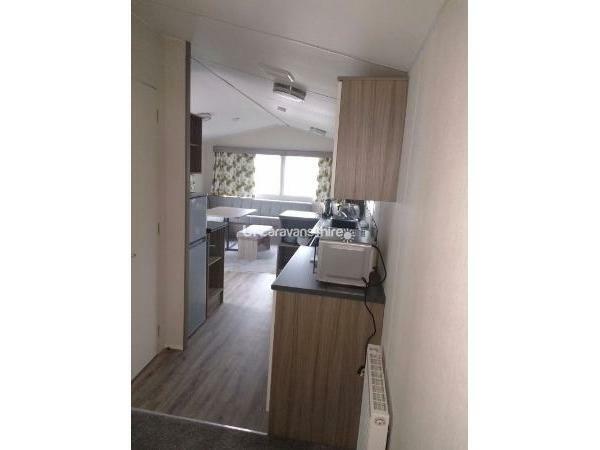 Debra was more than helpful when booking the caravan was spotless plenty of room and very comfortable there was lots for the children to do in the park and Bournemouth and Poole nearby we were lucky with the weather and had a great week thankyou would highly recommend . 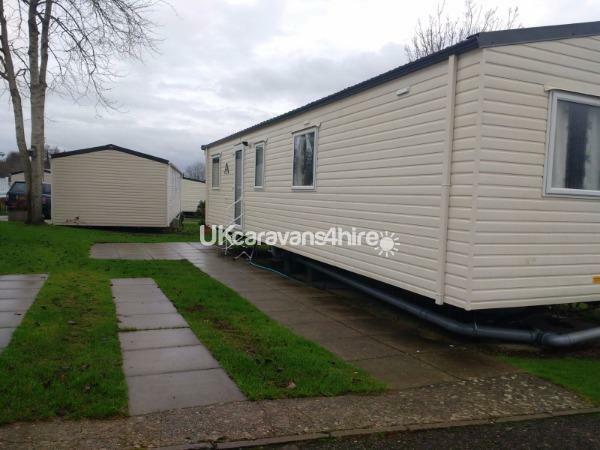 We're really pleased you enjoyed the service, the caravan, Rockley Park facilities and Dorset! We hope to see you again. 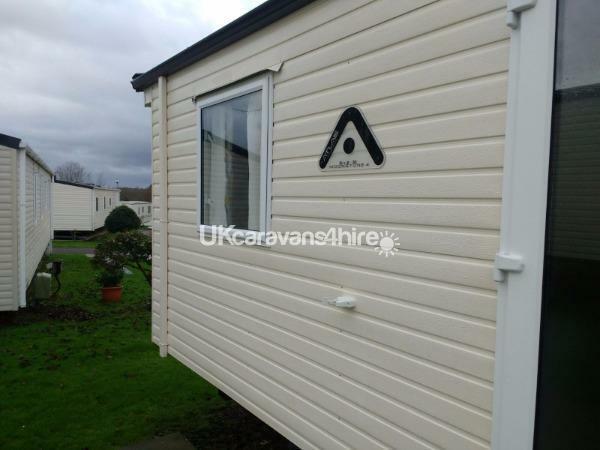 Great caravan and ideally located for all the parks facilities. Many thanks for your review. We're glad you had a good holiday and hope you will stay with us again. Thanks for your helpful review and for leaving the caravan in good condition. We hope you will stay with us again and enjoy some more of Dorset. Thank you for being such great guests and for the lovely review. We're glad you had a good time. 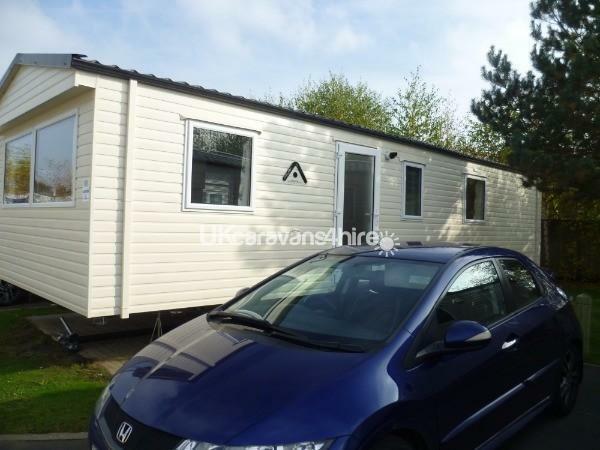 The caravan site is easy to get to by train and there are good transport links to the local towns and zoo. 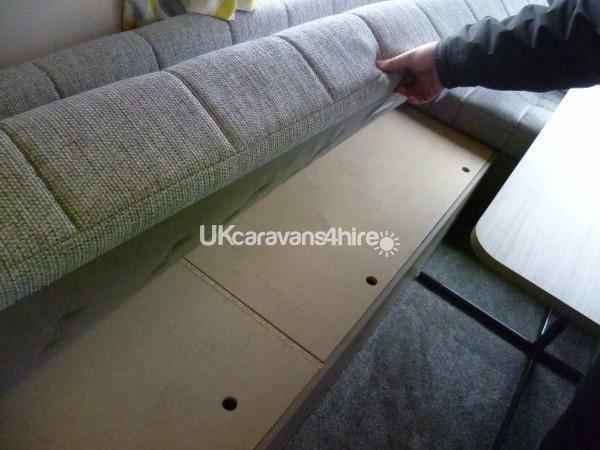 The caravan was nice and modern and also had entertainment equipment. The food options on site were good with pizza delivery to the caravan. The spa had friendly staff and was well equipped. It was an enjoyable holiday in a comfortable caravan. That's really useful information for guests without a car. I'm glad you enjoyed your stay and we hope to see you again. Superb accomodation - clean, modern, spacious, well-equipped and well positioned for both the Rockley beach and site attractions. The owners were a breeze to deal with and the price was very, very reasonable during peak season at a popular location. Superb site with so, so much to do from pottery and archery to watersports and survival shelter building. The local area (Poole harbour, Jurassic coast, Brownsea island etc) is fantastic. An ideal spot for a short break or a long holiday with or without the kids. Can't wait to visit again. We're so glad you enjoyed your stay. Your kind review is really appreciated. I stayed at this caravan as a guest of my brother and his family,I feel I have to write this review as it was excellent,the caravan was immaculate,spotlessly clean,comfortable and even included for the children were games,dvds,etc for rainy days, outside space was clean and well maintained,and is situated within minutes of the main entertainment facilities,if anyone wants a caravan to hire that has that home comfort feeling then I urge you to choose this one. EXCELLENT !! . We're so glad you enjoyed your last minute break. Thank you for being such considerate guests. We hope to see you again. Really enjoyed our stay here, clean comfortable and spacious with lots to do locally, thumbs up would recommend! We're glad you enjoyed your stay and hope we'll see you again. 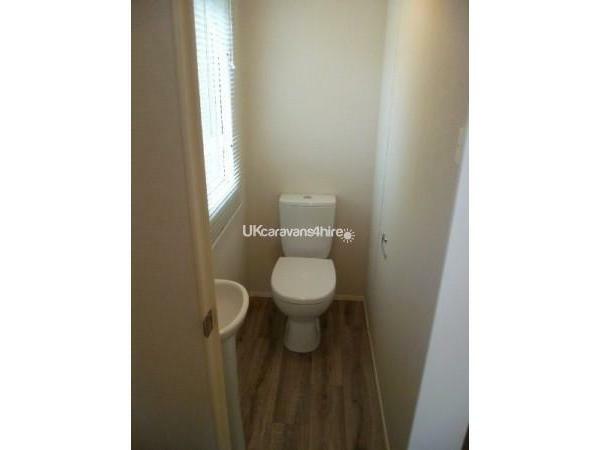 First time stopping in a static caravan and it was brill... Caravan was lovely, well decorated and nice and clean. Had everything we needed for our short stay. There was plenty to do on the park and the customer service was really good... Would definatly stay there again.. 10/10 for me ? Thank you for the review. 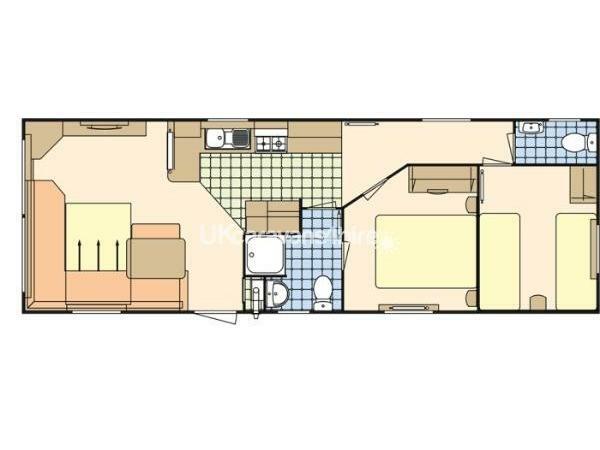 We're so pleased you enjoyed your stay in the caravan and at Rockley Park. You were great guests and we hope to see you again. This was a first time caravan experience for us. The caravan was great, very clean. A minor mishap in that the cleaner forgot to leave us clean towels, but the owners were very apologetic and offered us an extra nights stay which we unfortunately couldn't accept to due to work commitments. They then offered to reimburse us if we needed to purchase any towels during our stay. Debie really went our of her way which was much appreciated. Your feedback is much appreciated and it has helped us reshape the service we are offering. We're so glad you had a good holiday especially as it was your first caravan holiday. We hope to see you again. Hi Debra was very accommodating and couldn't have done more to help us find emergency accommodation for a young person and his carers. 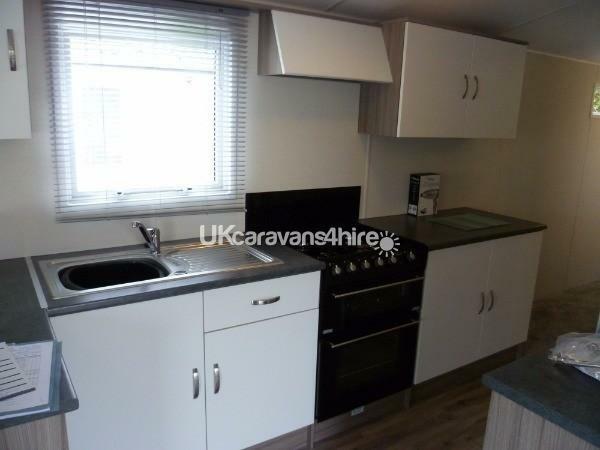 The caravan itself is brand new and very clean. Our young person enjoyed his en suite bedroom. The carers found the sofa more comfortable to sleep on than the twin beds but for children I would imagine they would be perfect. Many thanks for booking with us. The feedback is very useful.